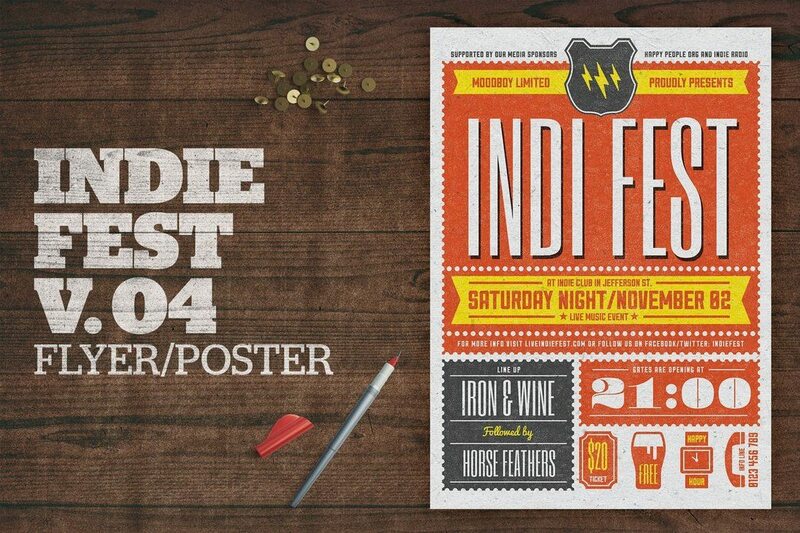 This beautiful letterpress-style poster is designed for promoting indie music events, festivals, and live music events. The poster comes to you as a fully-customizable PSD file with organized layers and it’s available in A4 size. Organizing a wine tasting event or a festival? 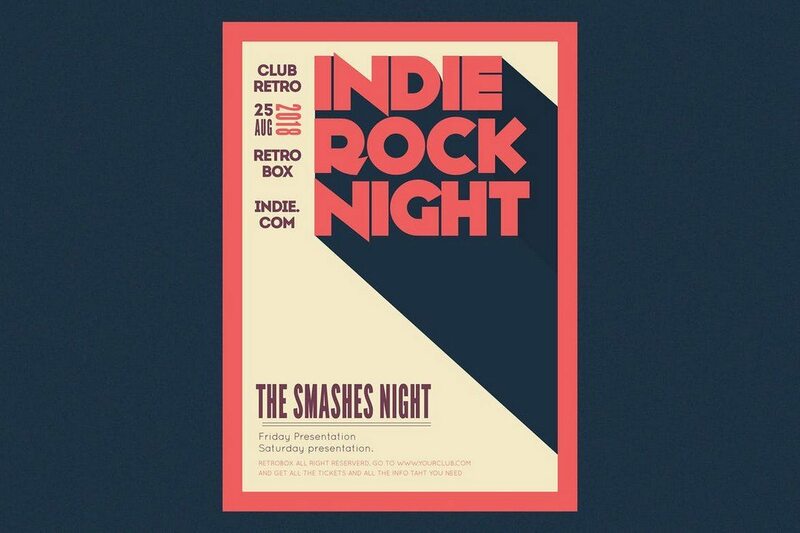 Then grab this template to craft a unique poster with a retro look. 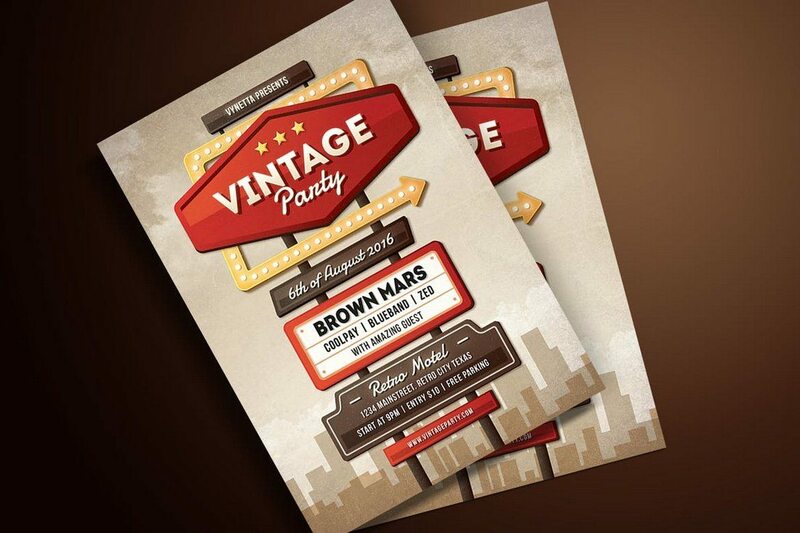 This poster template has been designed with a vintage theme while also giving it a letterpress style. 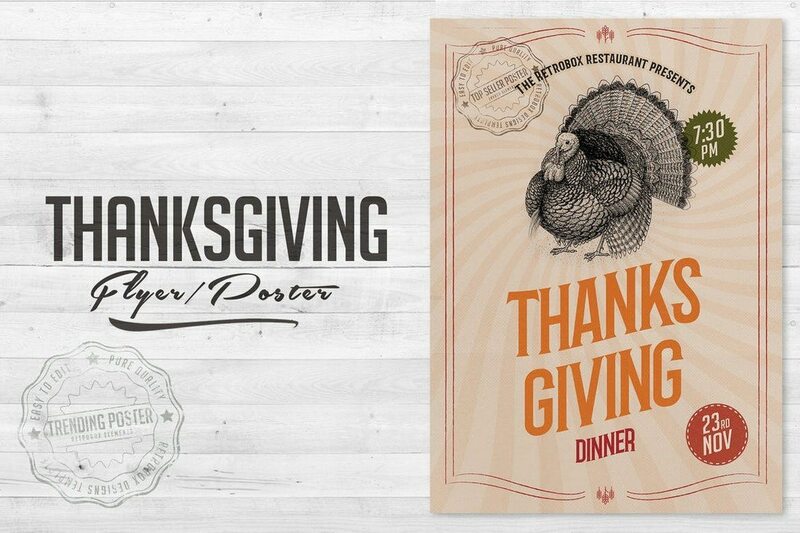 Hotels and restaurants often host Thanksgiving dinners. Why not promote and spread the word about the event using an appropriate poster. 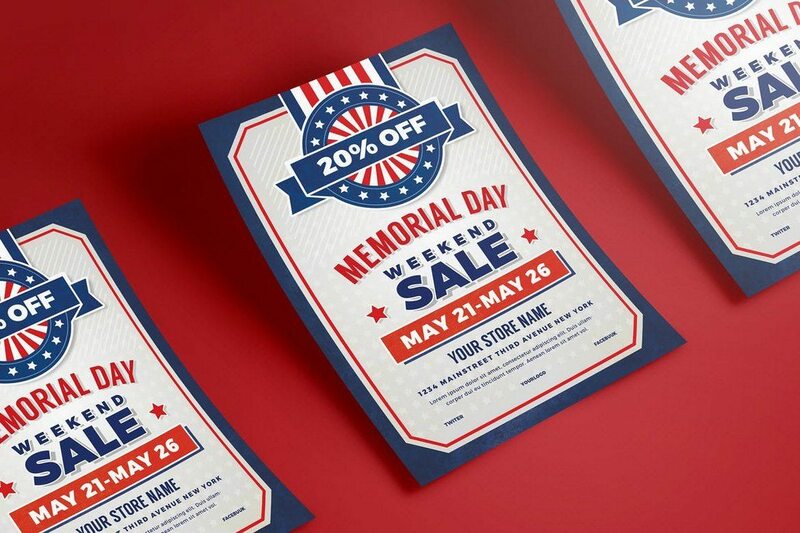 This poster template also doubles as a flyer, you can easily customize and resize it to your preference. 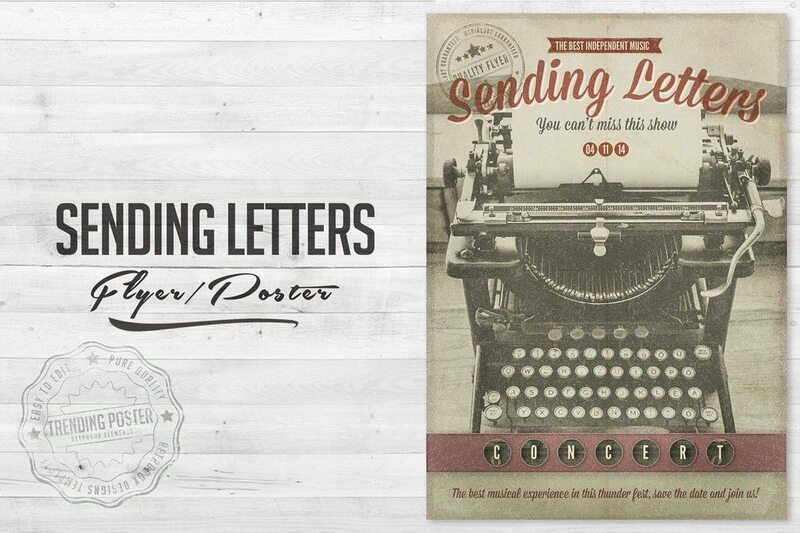 This poster template features all the right elements of a letterpress poster. It has a classic border, fonts, icons, and everything else you’d want to see in a vintage-themed poster. The template is fully customizable. 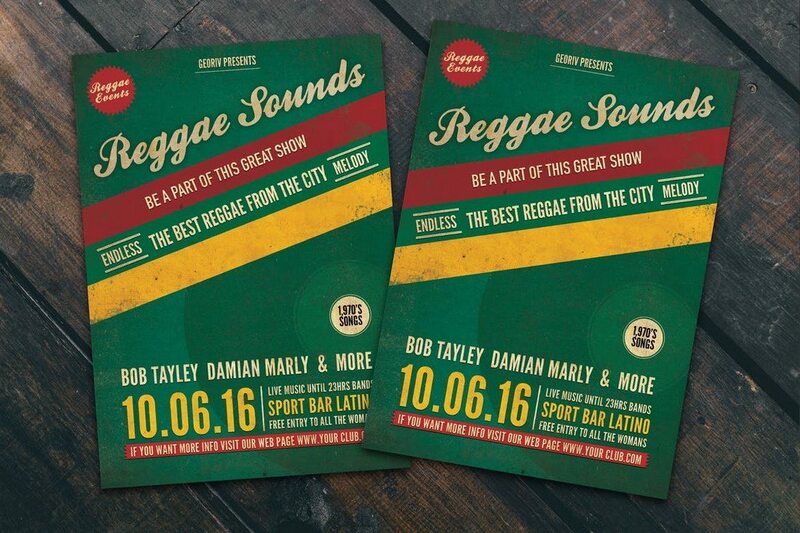 This is a poster template suitable for not just reggae music events, it will fit in nicely with almost any type of music or special festival promotions. You can use this template to design either a poster or a flyer. 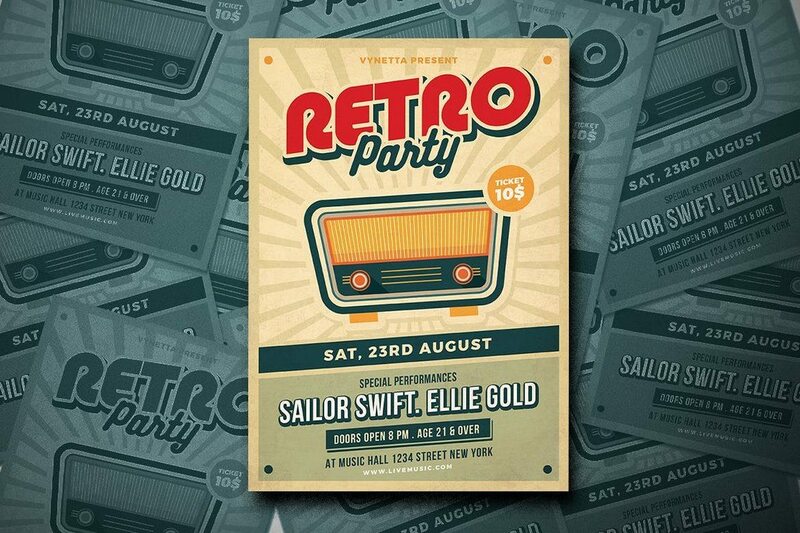 Another stylish modern-vintage poster template featuring a classic design. 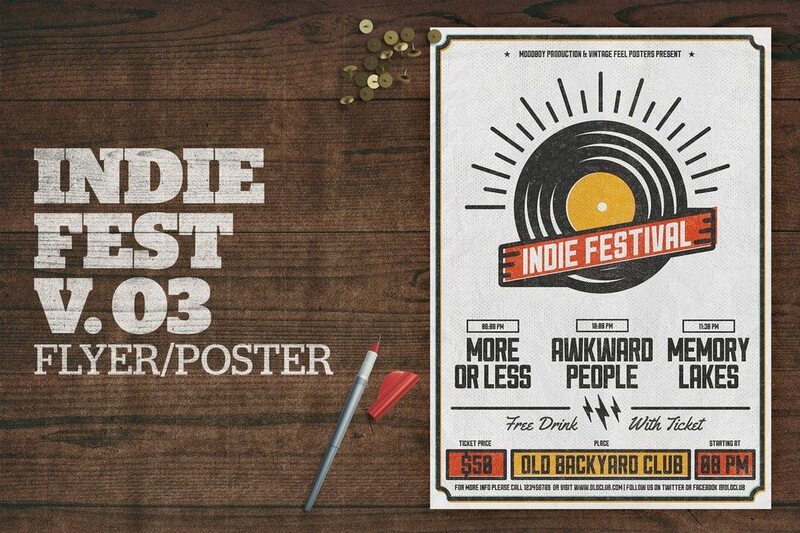 This poster is perfect for promoting your music events, parties, and festivals. The template is easily editable and comes in a fully-layered A4-size PSD file. 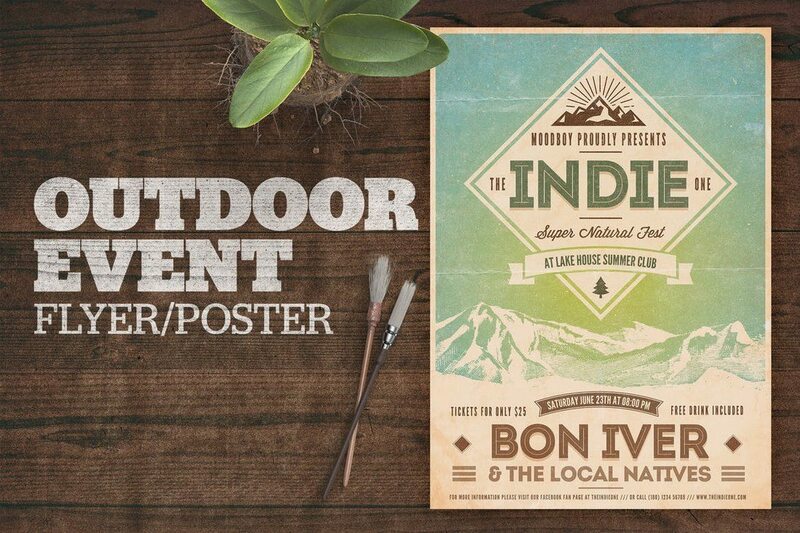 Spread the word about your special outdoor events and festivals using this poster template. It comes with 2 PSD files, for designing both flyers and posters. It also allows you to choose from 5 different color schemes and customize using free fonts. This poster comes with a minimalist letterpress design. It’s available in the A2 size and in 5 color schemes. 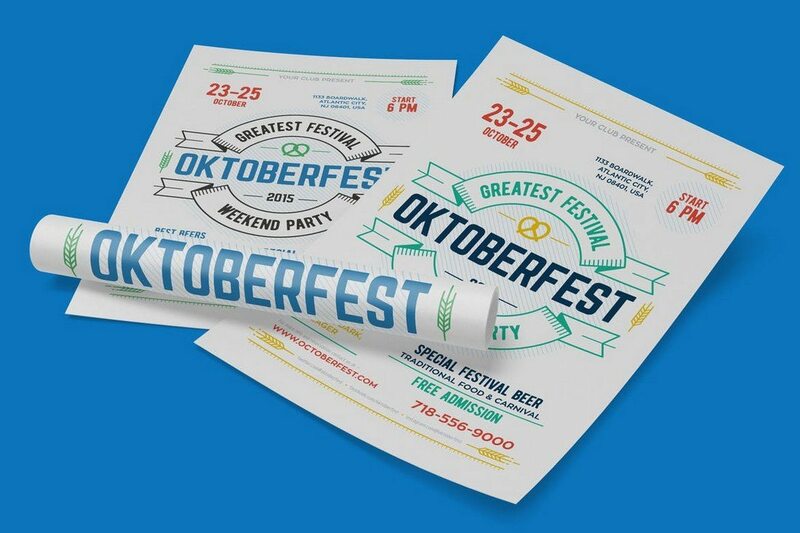 Even though it’s meant for promoting Oktoberfest festivals, you can easily customize it to promote many other types of events. 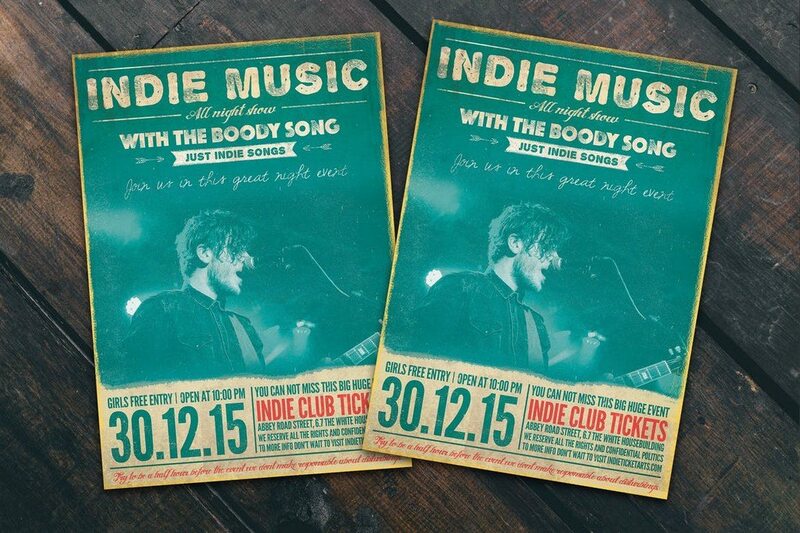 Use this stylish poster design for crafting designs for indie music events and parties. It comes as a print-ready PSD file in A4 size. You can also use this to design a cover for a music album as well. Another minimalist poster design featuring a letterpress-style design. This template is also easily customizable. It’s available in the A4 size and can be used to promote music events and concerts. It’s a beautiful retro-vintage poster that pays homage to old letterpress designs. This poster template comes as a PSD file for easily editing colors, text, and objects. The backgrounds are also included with the template. 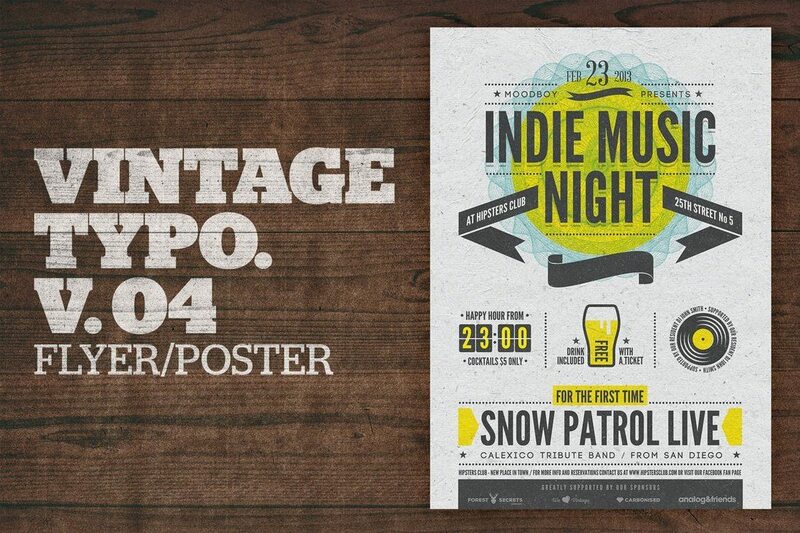 This poster template resembles a modern letterpress design. It’s suitable for designing posters or flyers for special sales promotions, holidays, and other events. You can easily customize it to change colors and backgrounds as well. 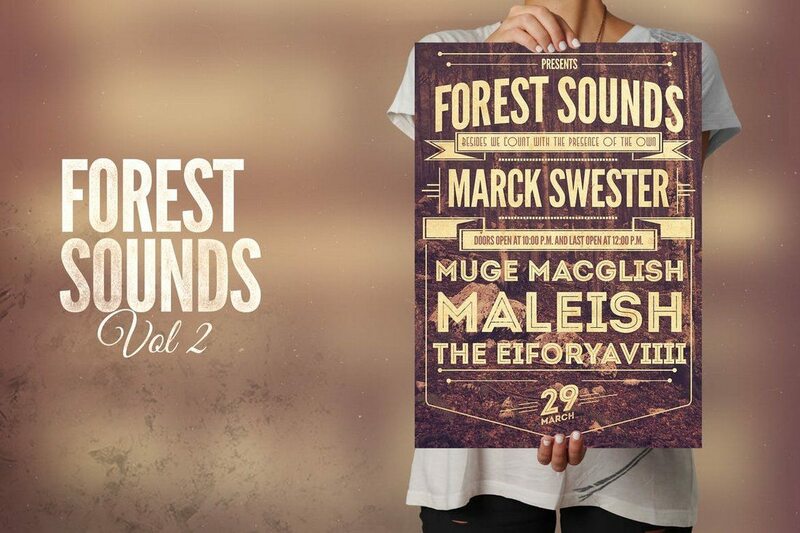 Forest sounds is a typography poster with a letterpress-style design. It features an all-text design for promoting and highlighting special events. The poster comes with 3 different backgrounds and a fully-layered PSD file. 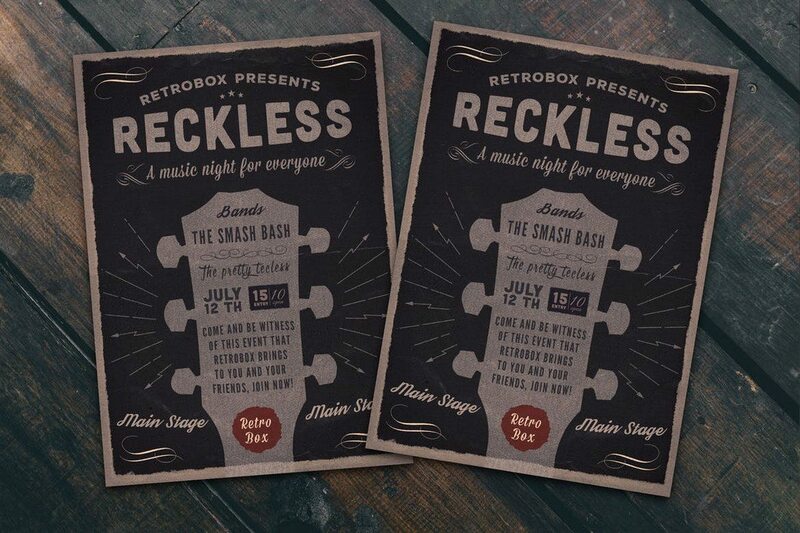 Designed in the style of an old motel sign, this poster is great for creating posters for parties and festivals. The template comes in an A4-sized PSD file. You can customize it using the organized layers. 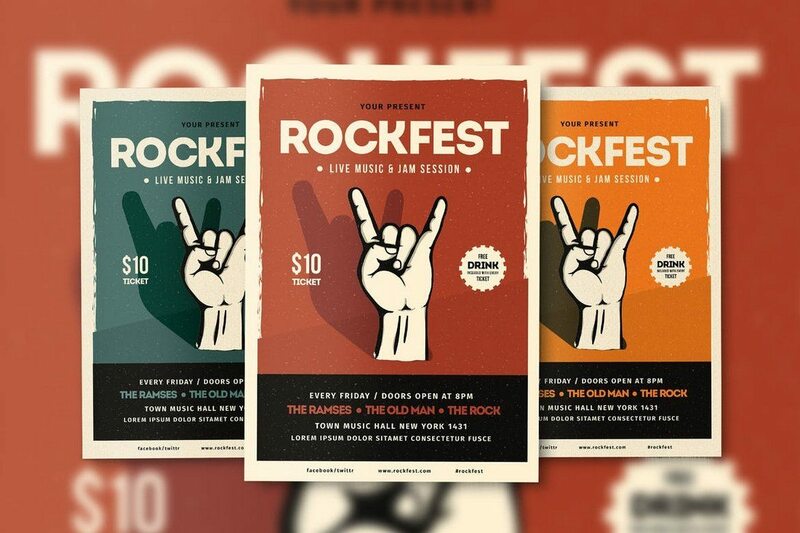 This poster template can be used to design all types of flyers and posters for everything from festivals, events, special sales, promotions, and more. It’s available in the A2 size and you can choose from 6 different color schemes to craft the perfect poster for your events. Another vintage poster template with a typography-based design. This template also features many design elements of a letterpress poster design. You can use this poster to promote music events, parties, festivals and more. A poster template with a true letterpress design. This template comes with a classical design made especially for promoting music events and shows. It includes a fully-layered PSD file with customizable backgrounds. 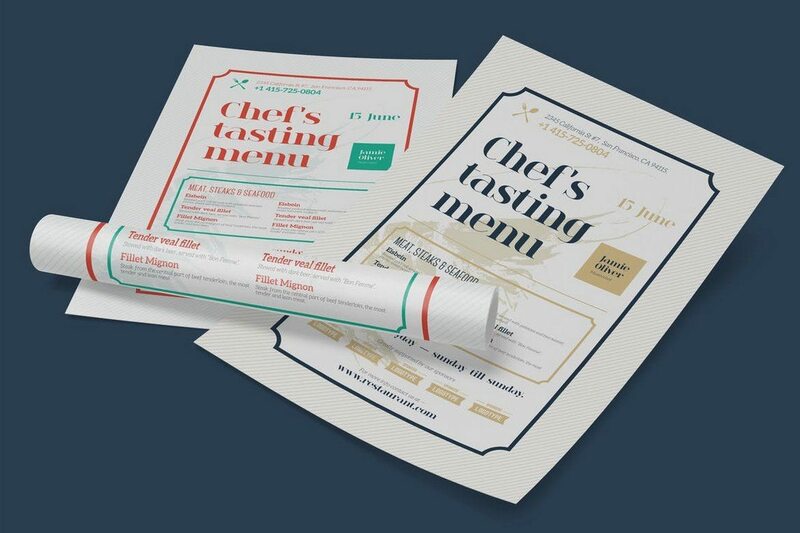 With a clean and a minimal layout, this poster template is perfect for promoting your specials events and parties. It comes in 2 PSD files for flyer and poster sizes and in A4 size. It also includes 8 different background textures as well. 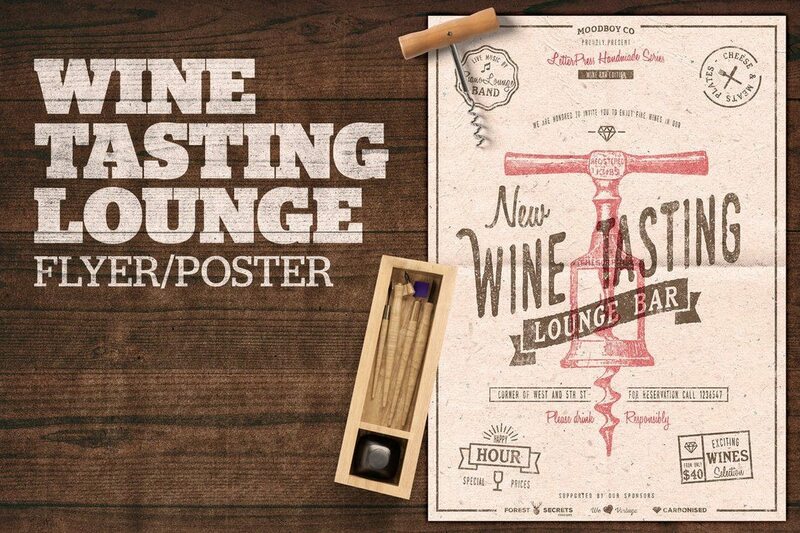 This poster template is perfect for promoting special hotel and restaurant events. It features a clean and simple design with a letterpress layout and it’s available in 5 color variations. The poster was also designed using free fonts. 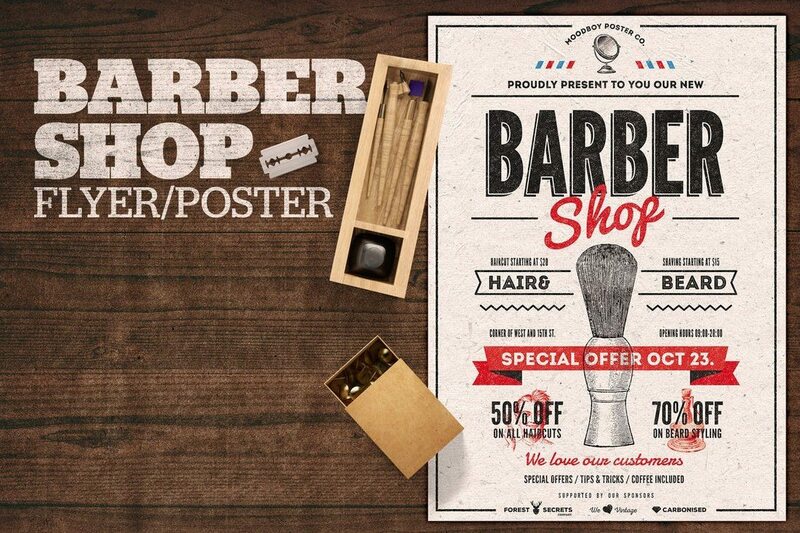 Craft a poster or a flyer to promote a barber shop or a salon using this letterpress poster template. It comes in A4 PSD file featuring fully-customizable features and organized layers. A highly customizable letterpress poster template. This poster is available in 5 different color schemes and in A2 size. 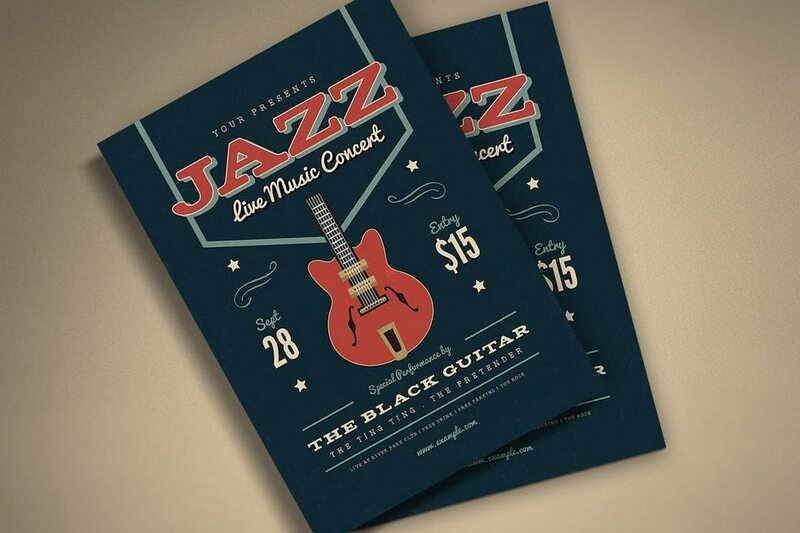 You can easily customize the template to design posters for music, events, parties, and more. If you’re planning on designing a minimalist poster, this template will definitely come in handy. It comes as a fully-layered PSD file with smart objects for easily customizing the template to make it your own. 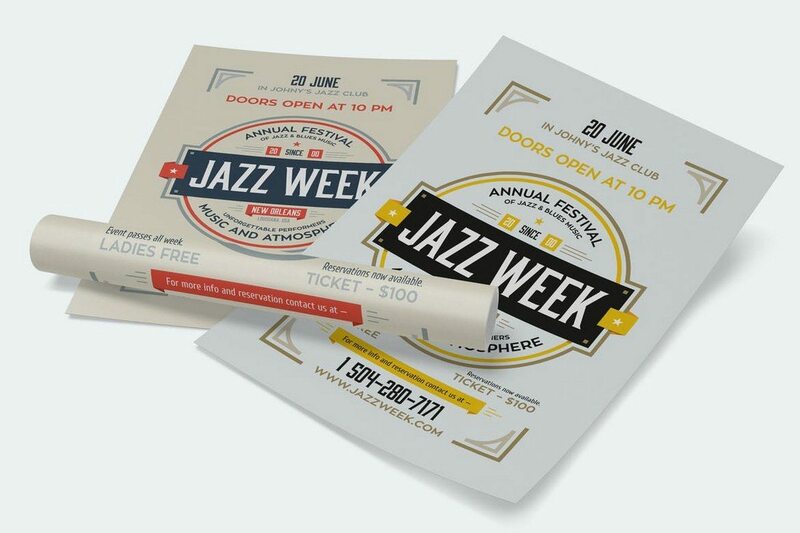 This poster template comes with an old-school letterpress design, which makes it ideal for making posters and flyers for promoting your classical and jazz music events. 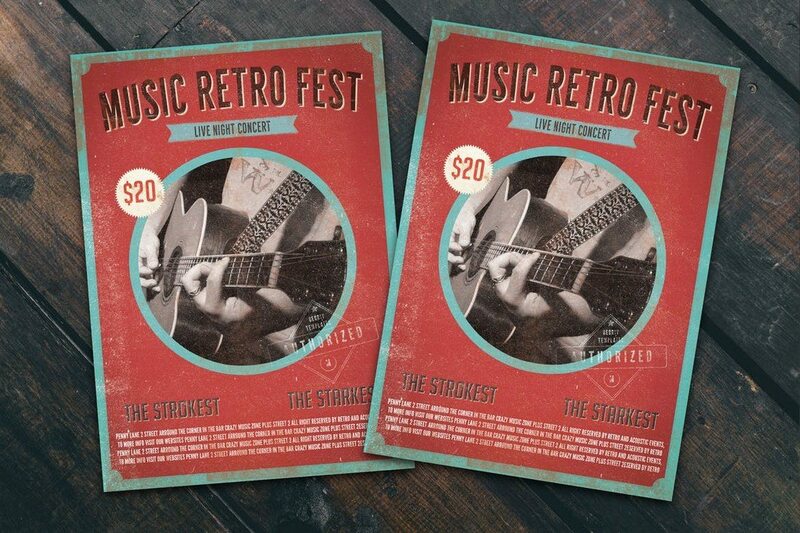 Another poster template featuring a vintage letterpress style design. This template can be used to design both flyers and posters. It comes to you as an A4 PSD file. 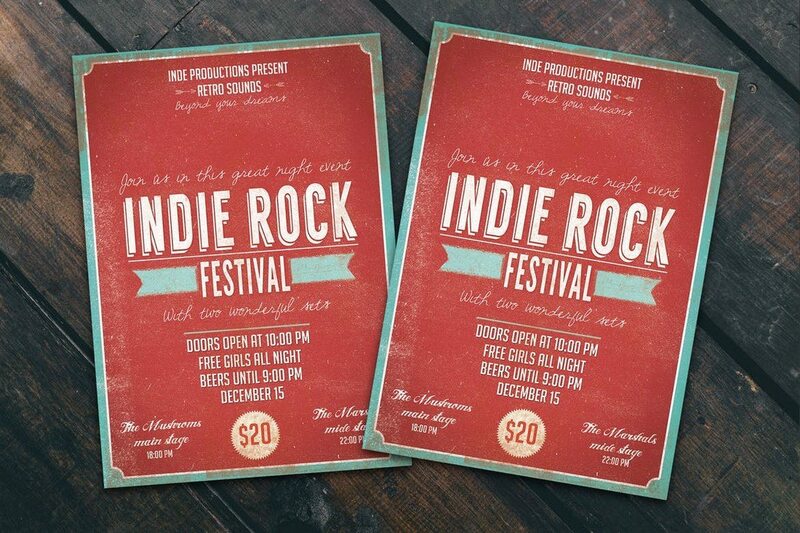 Promote your rock music events using this letterpress poster. The template is available in both Illustrator and Photoshop file formats. You can customize it however you like. You can also choose from 3 different color schemes. 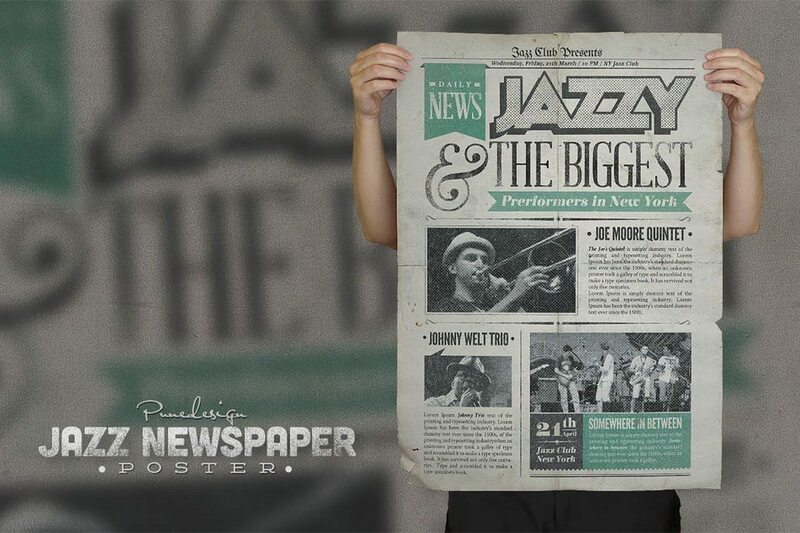 This vintage poster template features a design that makes it look like a page out of an old newspaper. 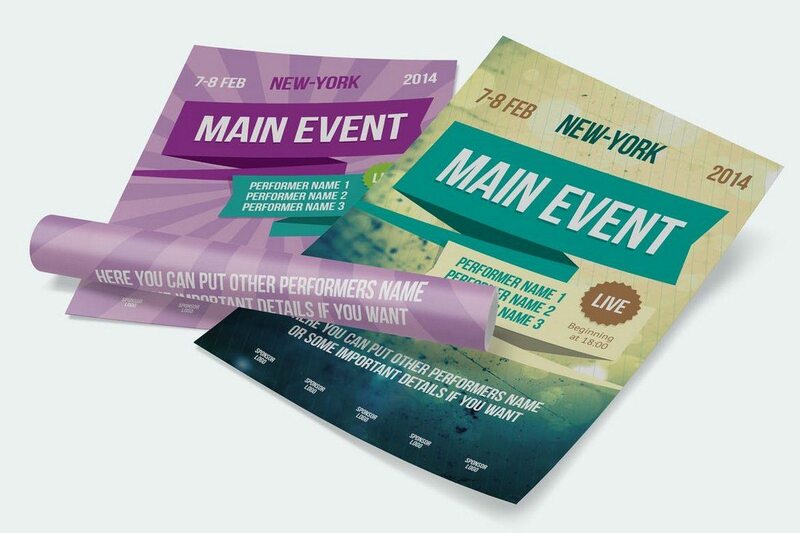 This template is perfect for designing posters for many different types of events and festivals. This poster template comes with a truly unique letterpress design. It’s available in a well-organized PSD file for easier editing. The backgrounds are also included with the template. 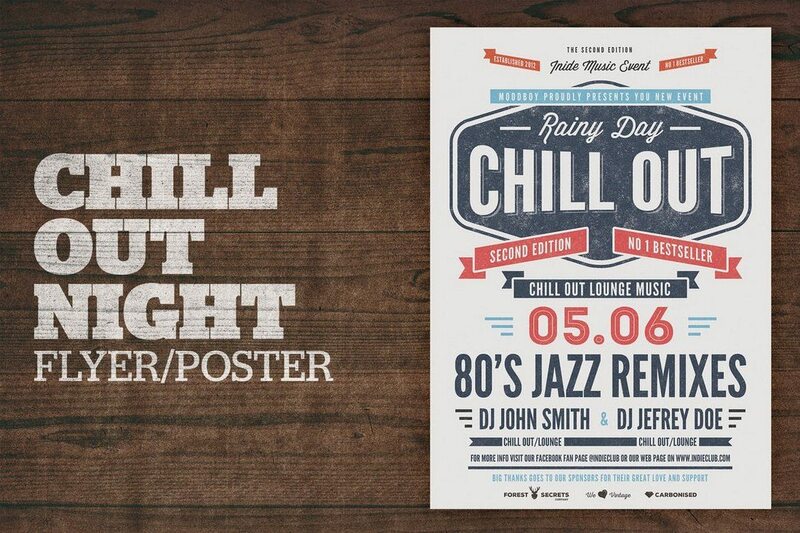 Find more inspiration in our typographic poster designs and best big poster fonts collections.